The interesting thing about the human memory is that it functions more like a camera than a film reel – capturing the fleeting moments of our lives more like disjointed snapshots than a continuous video recording. Little wonder, then, that our memories of primary (and secondary) school were defined not by some grand childhood narrative, but rather the small moments that somehow stuck with us all these years. If you are looking forward to becoming part of the Raffles Year 5-6 family, we certainly hope that the 2014 Raffles Year 5-6 Open House can provide a sneak preview of the many events that make life in RI so memorable. 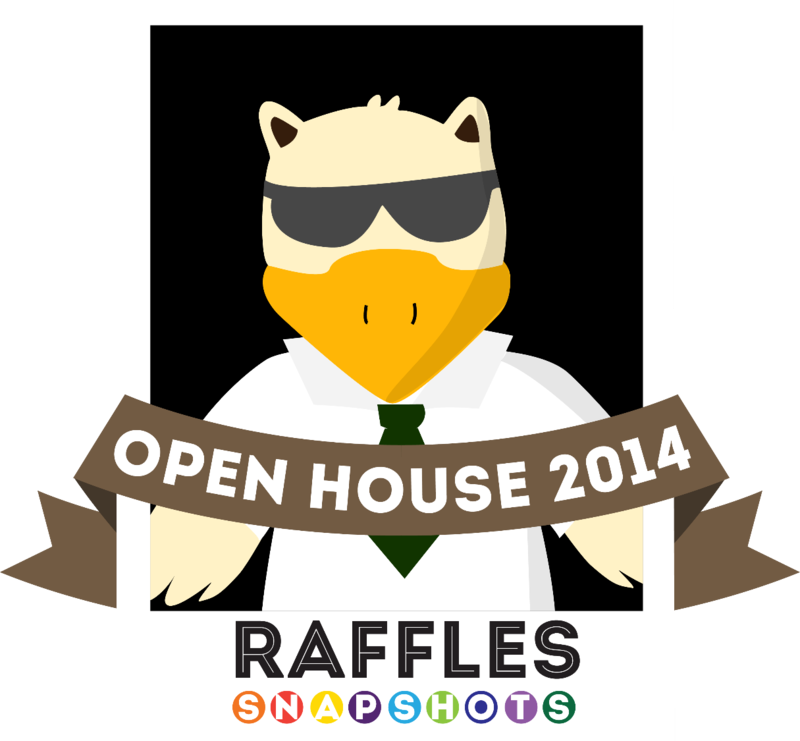 Quite fittingly, the theme for this year’s open house is Raffles Snapshot – Capturing moments one at a time. RI would be little more than an empty campus if not for the incredible community of students, staff, parents and alumni who breathe life into the school. It is this vibrant and diverse community of Rafflesians which we’ve tried to represent in Open House 2014, in an expression of gratitude for all that they’ve done. Alongside this, we also want to showcase the numerous developmental milestones that define the Raffles Experiences in a way like no other! If you are interested in knowing more about RI (Year 5-6) and are considering joining us, this will be the perfect opportunity to experience student life in Raffles at its very best. On the day itself, be sure to head down to the main event areas that will be thronging with activity: the Gryphon Square, Indoor Sports Hall (ISH) , Multi-Purpose Hall (MPH) and the Performing Arts Centre (PAC). 1. Start the day by arriving at the Innovation Centre (Block H) for registration and collection of welcome packs. 2. Check out the school tour booth manned by friendly befrienders next to the registration booth. Embark on a school tour with a befriender and explore the campus and our landscaped greenery..
3. Don’t get forget to reach the PAC by 1230 for the Principal’s Address by Mr. Chan Poh Meng! 4. Catch the exciting performances in the Gryphon Square Tentage. 5. Get more information about the A Level subjects you will be studying at Innovation Centre. Teachers will be present at each subject booth and they will be more than happy to answer any questions you may have. Highlights of the day include the Principal’s address, Academic exhibitions, CCA booths, enrichment displays, school tour and breath-taking performances and showcases by our Performing Arts groups and Sports CCAs. AWESOME PERFORMANCES: We have arranged a medley of performances and showcases in the Gryphon Square Tentage and MPH. Watch out for hot models strutting down the Runway in their latest collection. Don’t miss the sleek moves by Raffles Street Dance. Raffles Rock will also be putting up an exciting performance with all your favourite rock songs. Principal’s Address: We welcome you to join the Rafflesian family! Our new Principal, Mr Chan Poh Meng, will be warmly addressing you. His address will be in the PAC at 1230. House Item and School Cheers: Home is where the Houses are. Upon joining the school, each Rafflesian will be allocated to a House – not too dissimilar from Hogwarts, just that allocation is probably done by IBM computer rather than Sorting Hat! As Orientation is traditionally conducted along House lines, your fellow Housemates will also be your first new friends in RI. Check out our favourite school cheers, and experience the Rafflesian Spirit for yourself. Exhibition Matches: Interested in joining a Sports CCA but don’t really know how it will be like? No worries! There will be exhibition matches by some of the sports CCAs at the ISH. GOODIES: There will be Milo Van at the Gryphon Square Tentage from 1000 onwards! Also don’t forget to collect your welcome packs at the registration booth! Of course, supply is limited so do come down early if you want to pick up your freebies. For more information and updates, like the Facebook Page and follow RI Yr5-6 Open House 2014 on Twitter and Instagram. 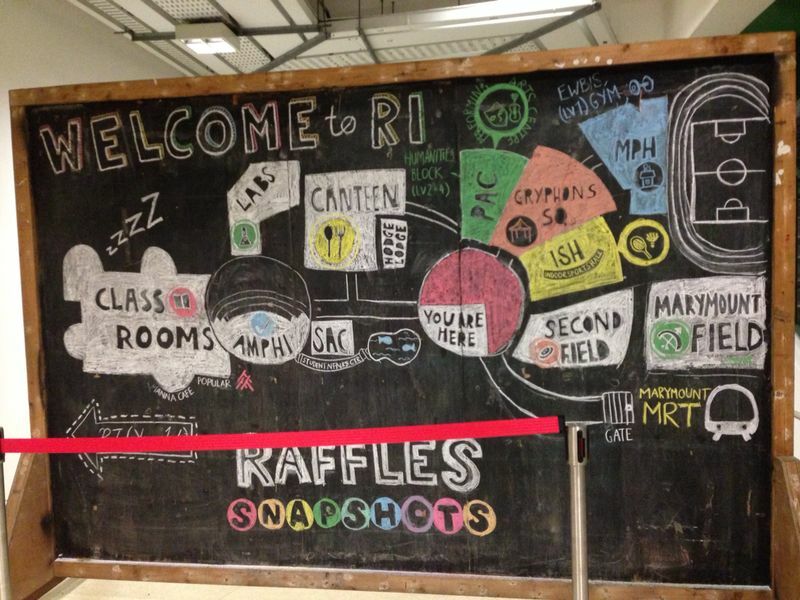 See you at RI (Year 5-6) Open House tomorrow!